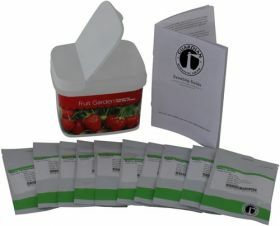 This fruit bucket is another survival seed kit we have to round out your long term preparations for dealing with a broken down system where you may not be able to get food as you'd like. Planting your own survival seeds gives you the self reliance you will have to depend upon if it ever comes to that. Having a variety of foods will make life a bit more pleasant and the more variety you have, the better off you'll be. You'll also be able to barter and trade your harvest for other things you and your family may need to get you by hard times. 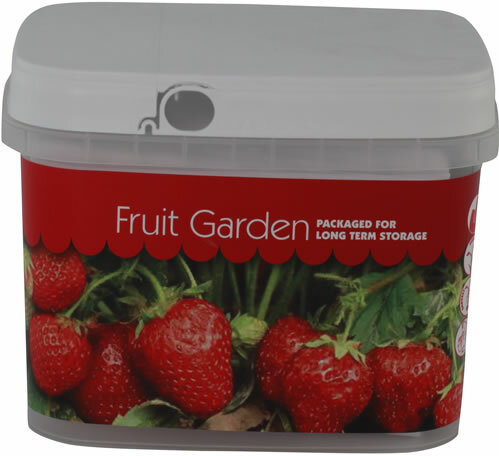 An abundant crop of fresh fruit will be just like money. 9 seed packets sealed in a Mini-Ropak Bucket. Contains enough seed to eat in a season with enough left over to can your own jams.